We took a day off from Seattle Beer Week to celebrate our 5th wedding anniversary. We had some friends over with lots of food and, of course, beer. As detailed in an earlier post, we brewed a special Anniversary IPA to hand out to our guests. 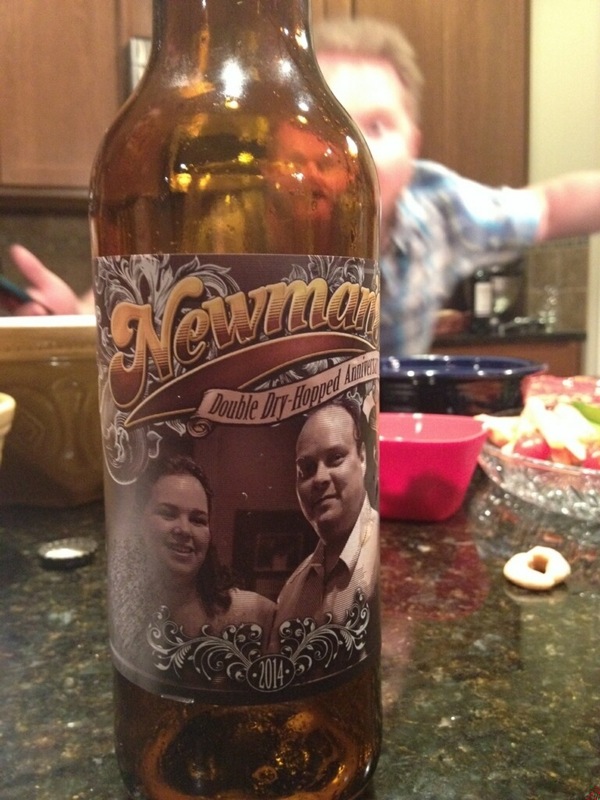 A bottle of our brew is pictured below. Our friend Kyle awesomely photobombed the pic taken by his wife, Nicole. This entry was posted in Off brand cialis by Diflucan for yeast infection. Bookmark the permalink.